Cassidy Evans was only five years old when she was diagnosed with cystic fibrosis. But she refused to let the it get her down, and instead decided to do something about it. 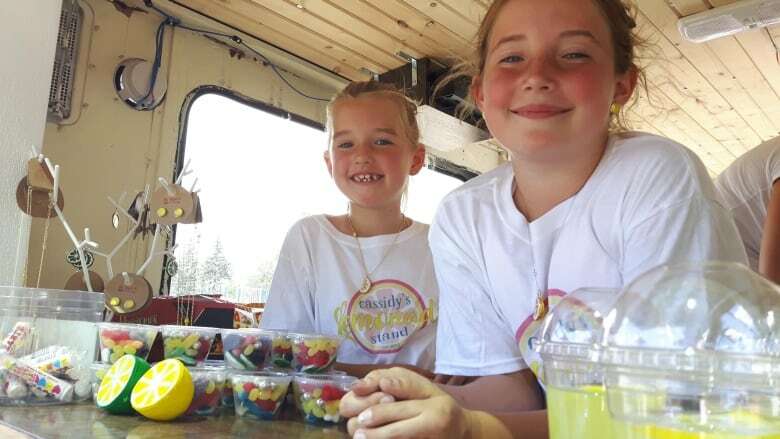 Five years after setting up a lemonade stand, the Saskatoon girl has raised $40,000 for research into the inherited genetic disorder. The recipe: 'Lemons, fresh water and then another secret ingredient that I can't say"
"I was supportive and excited when she told me she wanted to have a lemonade stand when she was five — but she was five!" said Cassidy's mother, Kimberly Evans. "So I wasn't sure where this was going to go." "I'm very happy I got to raise that much money," said Cassidy, 10, sitting in her lemonade truck parked in her parents' driveway. "I like when everyone's cheering me on and then I give them a glass of lemonade and then they're like" — she opens her eyes and mouth wide, as if in shock. "It's that good," she said. Cassidy gives her sister, Lucia, a glass of her famous lemonade. Customers pay $2 a glass. (Bridget Yard/CBC News)The Evans family had to adjust to Cassidy's diagnosis five years ago. The disorder affects the lungs and digestive system, and though people are living longer with cystic fibrosis, life expectancy is significantly lower than the average Canadian. 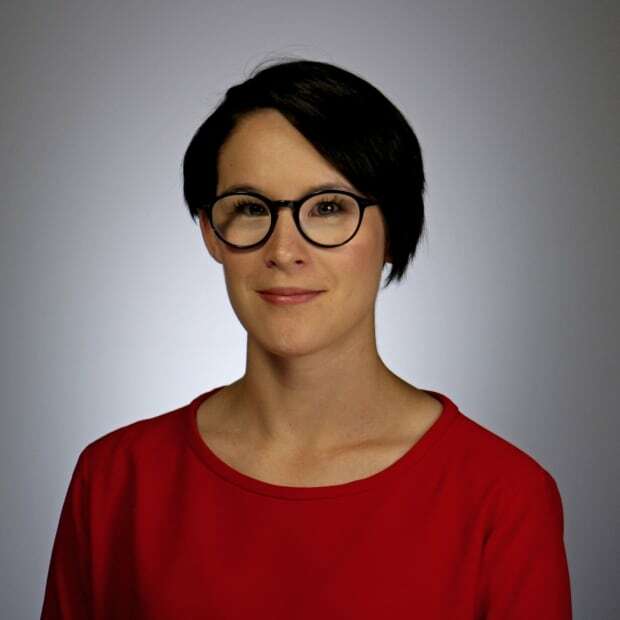 "Life felt really hard and dark when she was diagnosed with cystic fibrosis, and there were a lot of hard things," said Kimberly Evans. "It's hard for her to be 10 and deal with the medical treatments she has to do every day, but this stand has been so positive that it really shows you can make lemonade from lemons." Jokes aside, the recipe is serious business for Cassidy and her seven-year-old sister, Lucia, who helps squeeze the lemons. "There are fresh squeezed lemons, fresh water and then another secret ingredient that I can't say," Cassidy said. 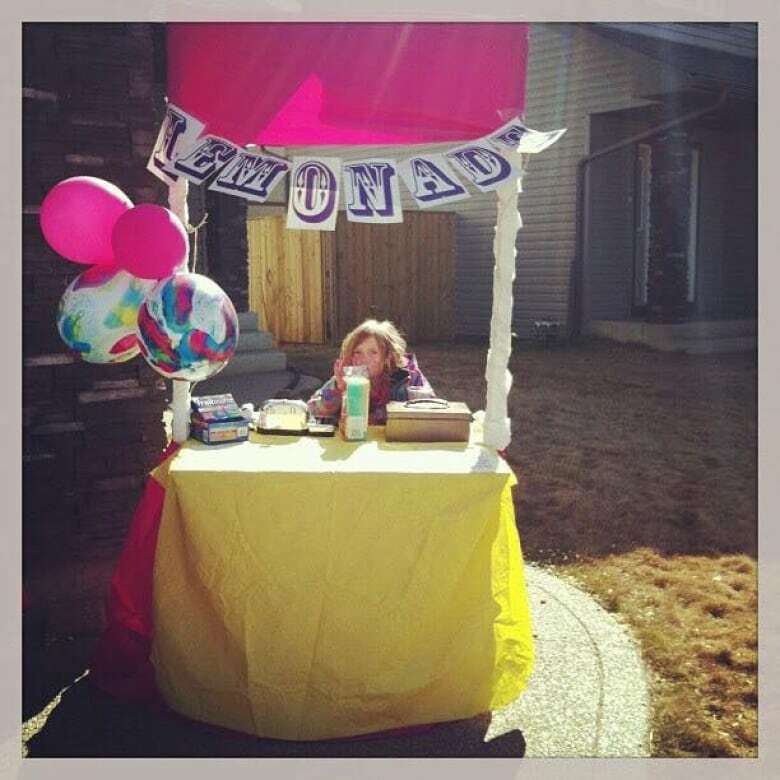 Cassidy started selling lemonade in front of her house when she was five after being diagnosed with cystic fibrosis. (Submitted/Kimberly Evans)Cassidy's Lemonade Stand has grown as a brand since the Evans family started fundraising. It now has a truck, a logo and a social media following. "Last year we bought it on Kijiji, and we thought it was so cute because it's an old ice cream truck," Cassidy said. The truck was renovated by a friend, the work sponsored by a local business. Cassidy's supplies, too, such as water and lemons, are also mostly donated. The old ice cream truck that is now Cassidy's Lemonade Stand was fixed up by a friend after the Evans family purchased it for their burgeoning business. (Bridget Yard/CBC News)It's still a lot of work for a ten-year-old, and sometimes Cassidy gets tired if she pulls a few shifts in a row, but her enthusiasm is unending. "I think it just comes from myself!" she said when asked about her energy. She has only one complaint: Her father gets to drive the truck, something she won't be allowed to do until she gets her licence — in six years.